Talkback, Angst, Hot Sauce, ITV Studios, So Television and BBC Studios bring popular formats back to BBC Studioworks. BBC Studioworks kicks off the autumn with six returning productions across its studio operations this month. Returning shows include two star-studded chat shows, two comedy panel shows, a general knowledge quiz show and the BAFTA-award-winning celebrity dance competition. Having supported Strictly Come Dancing since its inception, BBC Studioworks has welcomed the 16th series of BBC Studios’ flagship Saturday night show back to its Elstree production hub. Following a two-week set build and technical rig in George Lucas Stage 2, the pre-recorded launch show aired on BBC One on Saturday 8 September and the first two live shows will broadcast on 22 and 29 September. The ballroom extravaganza will run weekly, leading up to the grand final on Saturday 15 December. BBC Studioworks is providing full studio and post-production services for the entire series. Over in Stage 9, Talkback has returned with ITV2’s Celebrity Juice for a second time in 2018, with its 20thseries. Comprising of ten episodes, the series will record across September-November. This is the ninth consecutive series that Studioworks has facilitated. In Stage 8, ITV Studios’ The Chase has begun the record of a whopping 66 episodes within September alone. The award-winning quiz show moved to BBC Studioworks in 2014 and has been a frequently returning client over the past four years. The production is set to record an additional 105 episodes across October, November and December. Following a residency earlier in the summer, BBC Two’s satirical celebrity panel show, Mock the Week, has returned to Television Centre for its 18th series. Produced by Angst, the five-part series will record weekly in Studio TC1 across September and October. This autumn, Studio TC1 is also home to the two giants of British talk shows – ITV’s The Jonathan Ross Show, produced by Hot Sauce, and BBC One’s The Graham Norton Show, produced by So Television. Hot Sauce is now in its second consecutive series residency at Television Centre. The current series began recording at the end of August and runs weekly until early December. So Television kicks off its new 18-episode series of The Graham Norton Show at the end of September and runs through to February. September 2, 2016 Strictly Come Dancing 2016 BBC Studioworks is once again providing full studio facilities, post production services and technical support for Strictly Come Dancing. March 16, 2018 BBC Studioworks to host The Graham Norton Show BBC Studioworks’ 10,800 sq. ft. 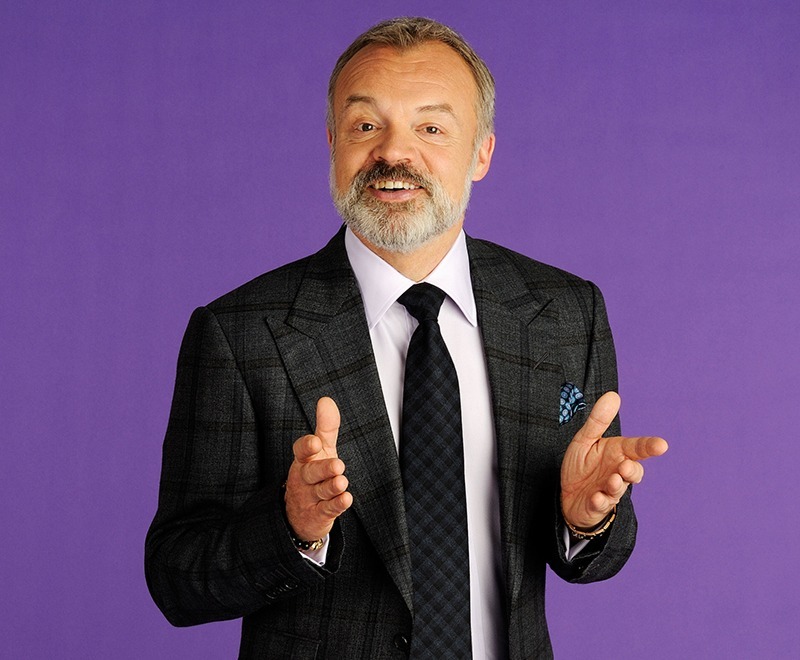 Studio TC1 will become home to The Graham Norton Show from 5 April. January 16, 2017 Not Going Out Multi-camera, studio audience sitcom Not Going Out makes BBC Studioworks its home for new BBC One series.